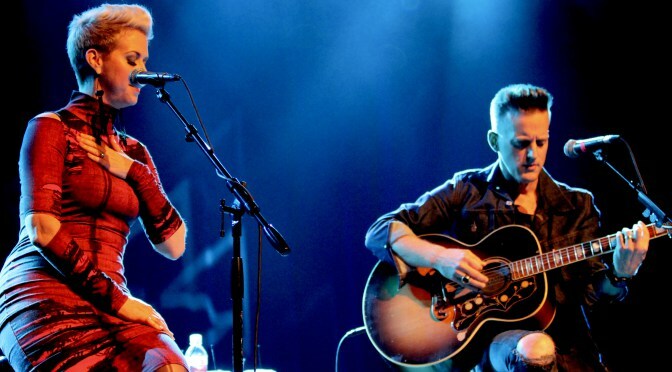 Shawna and Keifer Thompson of Thompson Square are currently making their way across the country for their This Is U tour. It had a stop in Southern California which is where I caught it! It comes back March 18 for another date and I couldn’t be more excited to catch another show! The duo returned to Sycuan Casino in San Diego with just a guitar and their magical voices! There was no need for a band or flashy productions, just their harmonious voices and stories to keep the crowd entertained. They played new songs like “Masterpiece” inspired by their son, Cooper. Keifer got inspired while Shawna was pregnant and even mentions hearing the heartbeat! Check out a clip below! After going five years with no new album, Thompson Square announced they have a new album coming in a few months! Their manager even teased it on social media along with T2 back in February!